I'm no chef, but I am a pretty decent cook. That said, my lack of chef training is really obvious on days like Thanksgiving, when I am cooking more than a meal dish and a side. The kitchen explodes if I am not careful! WARNING: Pictures in this post reflect reality. I did not clean the kitchen specifically for the photos, so please excuse the mess. Think of it as an attempt to make you feel better about your own kitchen disasters. In order to cope, I make good use of timers and an advance plan of what to cook and when to cook it. That stuff definitely helps. 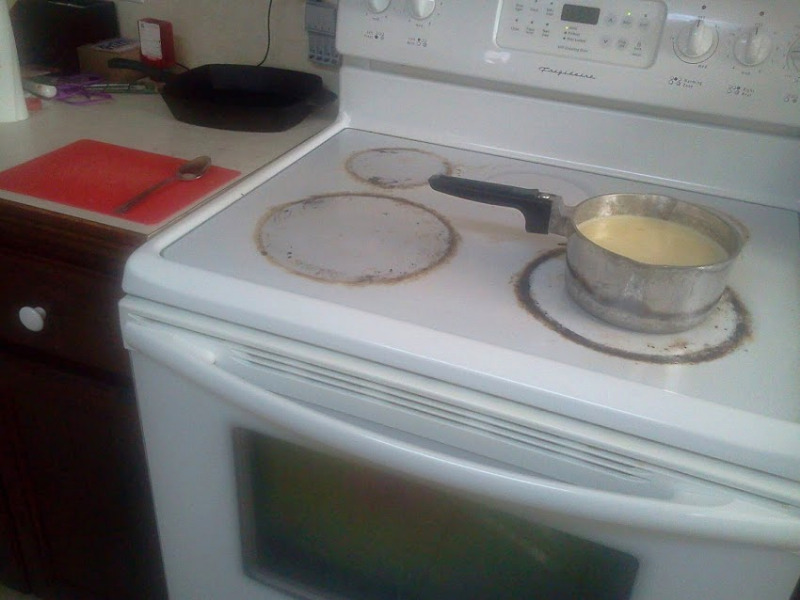 But the most effective tactic that I use is space management while cooking. Here's what I do. I use my island, with my recipes, planner with cooking schedule, and laptop for e-recipes behind the ingredients. This keeps critical stuff away from spills and splashes, but within reading distance. 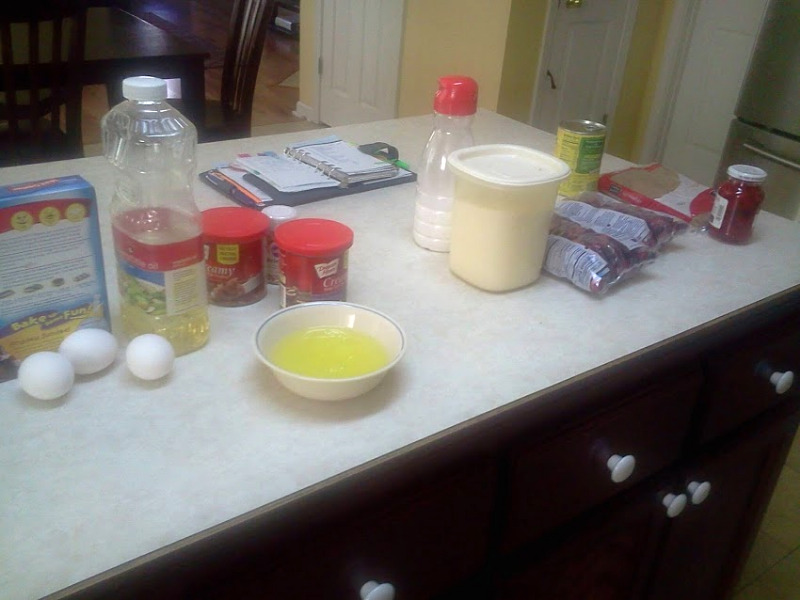 In addition, the ingredients for each food that I am cooking are grouped together in cooking order from left to right (because that's how Americans read, so that order makes sense to us). As I get to each item, it's all ready for me to cook. 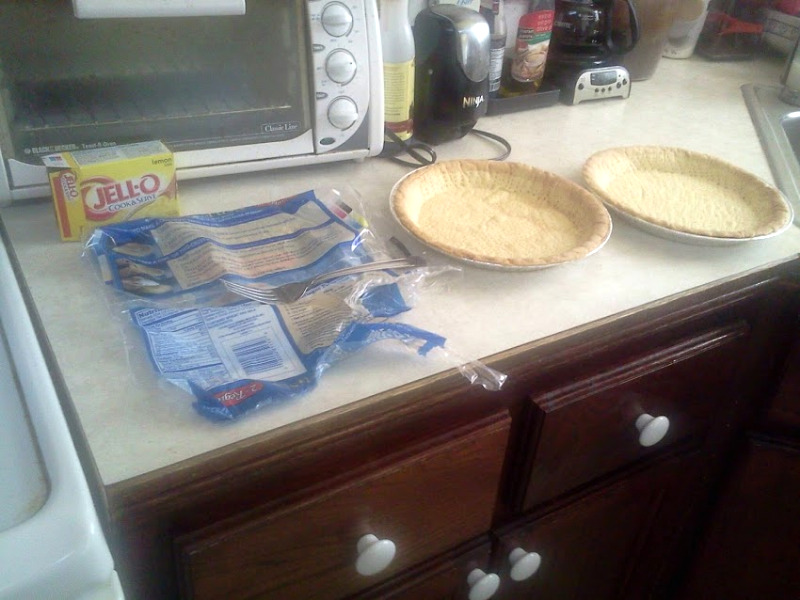 For those things that are in the process of cooking, like my pies cooling in this picture or the lemon filling that I was actively stirring when I took the picture, I use the right side of the stove. TIP: I'm left-handed, so the right is the inactive side for me. Feel free to switch it up if you are right-handed. I use a thin chopping board as a place for utensils in use while cooking. It's easy to toss in the dishwasher, plus tiny spoon rests are never enough space for me. Also, I have a ton of these cheap cutting boards, so I can just toss and use a new one when company arrives. TIP: Don't ever put utensils that touched raw meat or were used as a one-time tasting spoon on the rest area. Seriously, chefs clean as they go. Do the same. Toss the boxes as you open them. Trash the egg shells immediately. Wipe down the counters. (I did. I promise! It's just that I was still cooking.) Put the milk back into the fridge. TIP: If you have kids or a willing partner, make cleaning as you go their job. That's very organised cooking. I'm a firm believer of having everything out and cleaning as you go too. But I haven't attempted cooking for a big occasion before. Kudos to you for making such a great effort!